Former pupils from The Academy, Selsey are being asked to go back to the classroom to 'inspire current students' in career confidence and academic success. Students past and present have joined a programme run by national education charity Future First, which said it helps state schools and colleges 'harness the talents and experience of alumni to support the current generation'. A Future First spokesman added: "The former students will return to volunteer at assemblies and workshops designed to motivate young people and broaden their jobs horizons so they are more likely to be able to achieve a career of their choice regardless of their background." The Academy, Selsey headteacher Tom Garfield said bringing past pupils back is 'vital'. Matt Lent, chief executive officer of Future First, said 'students cannot be what they cannot see'. "It is vital to open their eyes to opportunities beyond their own world and show them the range of jobs available," he said. "Alumni help schools do this by acting as relatable positive role models. If a student sees someone who has the same background has gone on to achieve success, they are far more likely to think they can too." According to Future First, its vision is that every state school or college should be supported by a 'thriving, engaged alumni community' which helps it to do more for its students. The spokesman added: "The Academy, Selsey is one of a thousand state secondary schools and colleges across Britain which have worked with Future First. 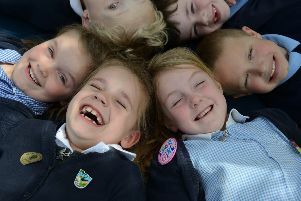 "More than 226,000 former students nationwide have already signed up to stay connected with their old school. They’re motivating young people as career and education role models, mentors, work experience providers, governors and fundraisers. "The Academy, Selsey wants to contact former students in established careers and recent leavers in further education, alumni who live nearby and those who have moved away." Former students can express their interest by contacting Chris Willshire, careers co-ordinator, on cwillshire@tas-tkat.org, or can register by clicking the ‘For former students’ link on the website.